NTT DATA, a leading IT services provider, was recently recognized as a leader in NelsonHall’s NEAT Vendor Evaluation for SAP HANA and S/4HANA Services. NTT DATA was ranked as a leader in the “overall” category, as well as the “SAP HANA Focus” category and “S/4HANA Focus” category. “NTT DATA has aggressively built its SAP HANA and S/4HANA capabilities, beginning with its acquisition of itelligence,” said, David McIntire, IT Services Research Director for NelsonHall. “It is now focusing its offerings to support the breadth of HANA and S/4HANA services from assessment to implementation to operations for clients from SMB to large enterprise”. NTT DATA supports the adoption and implementation of SAP HANA and S/4HANA through consulting, implementation and modernization services. NelsonHall identified the company’s strengths, which included SAP-certified industry solutions, deep expertise in S/4HANA implementation services, a strong EMEA and SMB HANA and S/4HANA practice, as well as a strong willingness to acquire additional SAP capabilities. NTT DATA (TOKYO: 9613) is a leading IT services provider and global innovation partner headquartered in Tokyo, with business operations in over 50 countries. Its emphasis is on long-term commitments, combining global reach with local intimacy to provide premier professional services varying from consulting and systems development to outsourcing. For more information, visit www.nttdata.com. NTT DATA Services, headquartered in Plano, Texas, is a division of NTT DATA Corporation, a top 10 global business and IT services provider with 110,000+ professionals in more than 50 countries, and NTT Group, a partner to 88 percent of the Fortune 100. Visit nttdataservices.com to learn more. NelsonHall is the leading global analyst firm dedicated to helping organizations understand the ‘art of the possible’ in next generation IT and business services. With analysts in the U.S., U.K., and Continental Europe, NelsonHall provides buy-side organizations with detailed, critical information on markets and vendors that helps them make fast and highly informed sourcing decisions. And for vendors, NelsonHall provides deep knowledge of market dynamics and user requirements to help them hone their go-to-market strategies. itelligence is one of the leading international full-service providers of solutions in support of SAP solutions, employing about 7,000 highly qualified employees in 24 countries. As a frequently awarded SAP partner, itelligence is an SAP Hybris Gold partner and global value-added reseller. itelligence is an SAP-certified provider of cloud services, SAP-certified provider of hosting services for SAP HANA® Enterprise Cloud and an SAP platinum partner. itelligence realizes complex projects in the SAP solution-based environment worldwide. The company’s services in support of SAP solutions range from consulting and licensing to application management services and hosting services to proprietary industry-specific solutions. 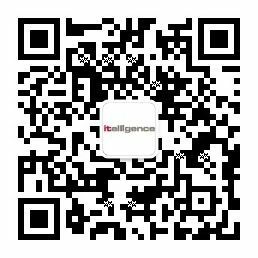 In 2016, itelligence generated total sales of EUR 777,9 million.